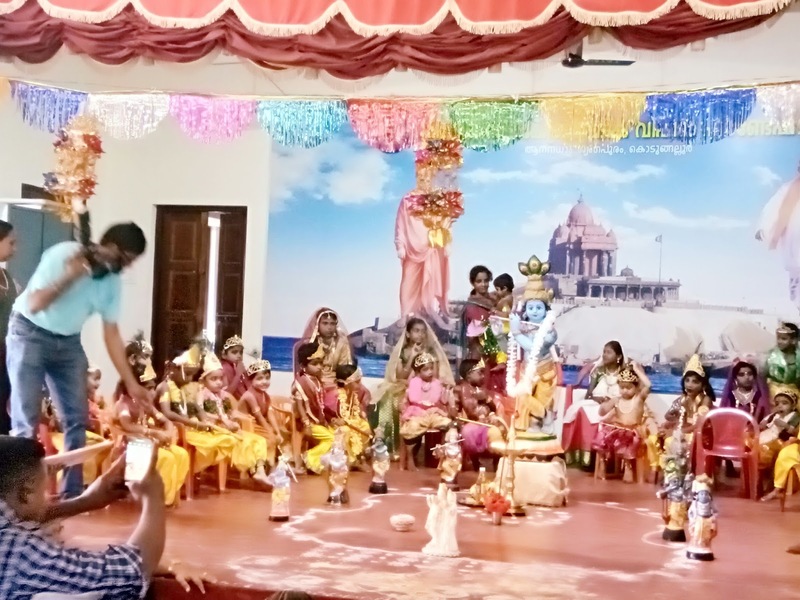 The much-awaited Sreekrishna Jayanthi was celebrated on 12th of Sept ’17at Anandadham. 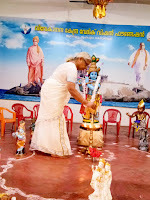 Mananeeya Lakshmi Deedi along with one of the 'tiny Krishna started the celebration by lighting the lamp. 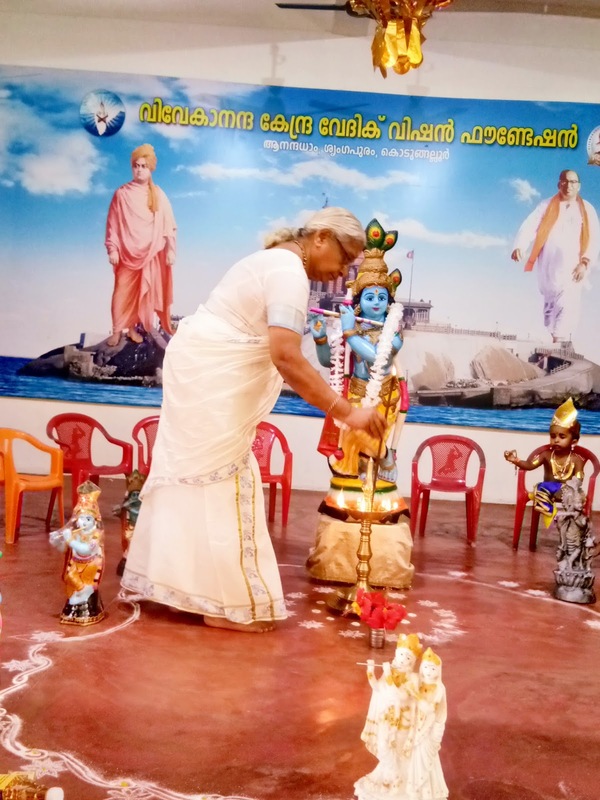 She gave a short speech on how celebrations like this get imprinted on the children's mind and it helps them to think positive and live a life of values. The hall was buzzing with the sounds of the naughty Krishnas, dressed by their mothers. Some girls were also dressed as Radhas. 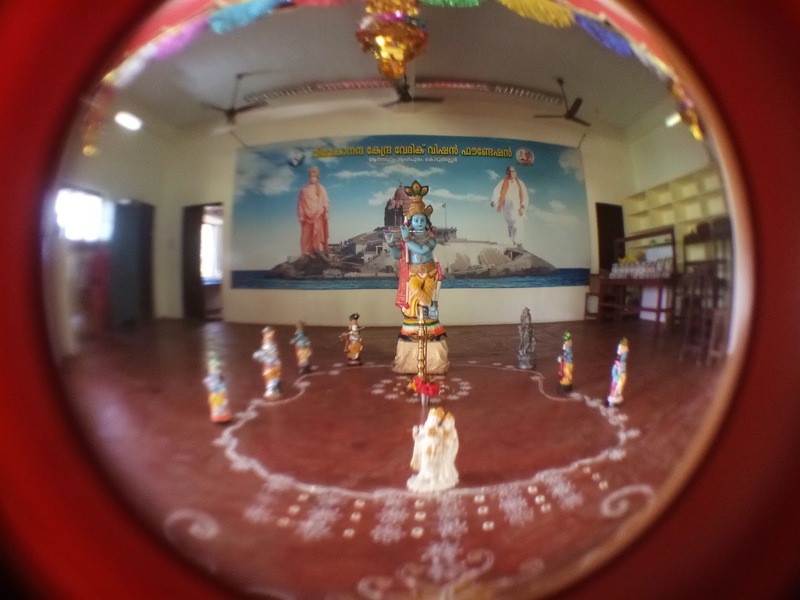 There were a total of 32 Krishnas (including 7 babies) and 8 Radhas. 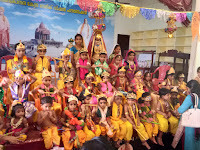 All the children dressed nicely came on the stage and posed as Krishnas with their flute in hand or Radhas with their earthen pots on their heads. It was a really beautiful sight to see the children happy and smiling. 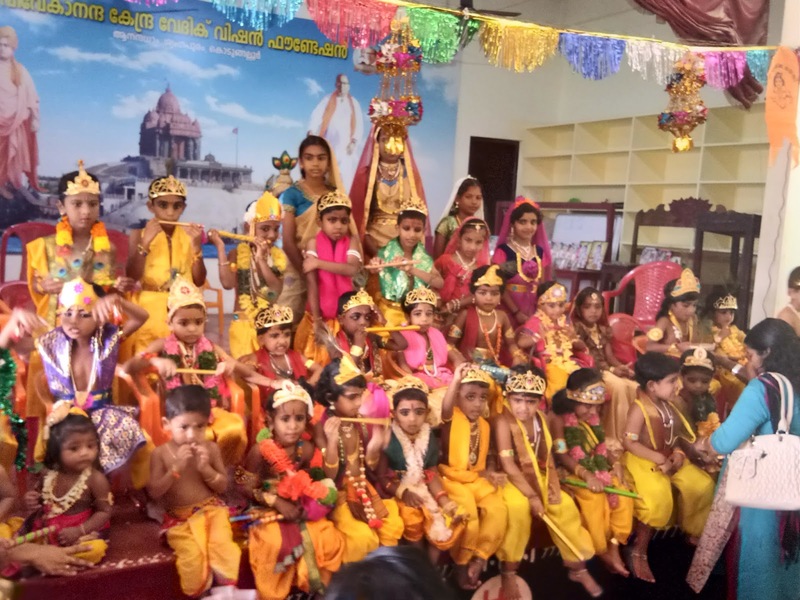 After their posing was over and the judges had given their comments, children were treated with sweets and prasadam. `Uriyadi`or 'breaking the pot', a traditional challenging game was the next item. 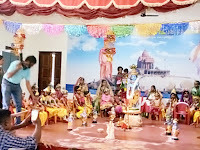 The children participated in it enthusiastically. At the last was the most interesting part. All the children received small gifts from Didi for their achievements!